Research shows that doctors can play an important role in return to work (RTW), yet many struggle with the process. In a new study, Institute for Work & Heath (IWH) scientist Dr. Agnieszka Kosny sets out to explore the interaction between physicians and workers’ compensation boards during the RTW process in several Canadian jurisdictions. If you’re a doctor in British Columbia, Manitoba, Ontario, or Newfoundland and Labrador and you’ve treated people with work-related injuries, we would like to hear from you. If you’re a WCB case manager, whether former or current, we’re also interested in your views. If you’re neither, please share the link and help us get out the word about this important study. We asked... and you answered! More than 1,000 people completed the IWH communications survey on practices and preferences with respect to work-related health and safety information, which ran from March 25 to May 22. 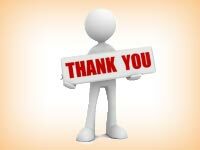 We thank all who took the time to complete the survey, and also thank our partners in Ontario’s health and safety prevention system for helping spread the word about the survey. We’re currently analyzing the results, and we’ll share them with you in the July issue of IWH News. IWH’s Organizational Performance Metric (IWH-OPM), an eight-item leading indicator tool that has been shown to predict injury rates in a sample of Ontario workplaces, is featured in a new guide from Alberta’s Ministry of Jobs, Skills, Training and Labour. 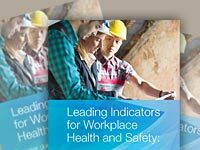 Leading Indicators for Workplace Health and Safety: a user guide highlights the potential of leading indicators to help organizations improve health and safety performance, and is aimed at a broad audience—from those who have never heard of leading indicators to those thinking deeply about how to use them. An IWH study found strongly diverging trends in the yearly incidence of work-related injury and non-work-related injury over a seven-year period in Ontario. Our new Issue Briefing, aimed at policy-makers, draws on lessons from that study and highlights opportunities to improve the monitoring of injury across all Canadian provinces and territories. Stories from organizations on tackling barriers and reducing musculoskeletal disorders (MSDs) were among the highlights at The Road to Excellence in Prevention of Musculoskeletal Disorders, a recent conference organized by the Centre of Research Expertise for the Prevention of Musculoskeletal Disorders (CRE-MSD). About 100 people in attendance heard about inspiring strategies from organizations such as Kitchener-Wilmot Hydro, Maple Leaf Foods, BlackBerry, and more. Some of these stories are now available as videos on the event page. Are you a researcher exploring the epidemiology, biology or economics of work-related MSDs? Or do you conduct field evaluations of MSD prevention policies, programs and practices? These are only some of the subthemes of the 9th International Scientific Conference on the Prevention of Work-Related Musculoskeletal Disorders—PREMUS 2016—to be held June 20-23 in Toronto. The conference is now accepting abstract submissions. 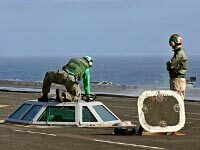 High reliability organizations operate under the constant threat of catastrophic failures. Think aircraft carriers or wildfire fighting crews. Learn how they handle failure, anticipate unexpected events and place expertise above authority. In a IWH plenary held earlier this year, Dr. Marlys Christianson of the University of Toronto’s Rotman School of Management outlined the common traits of high reliability organizations. That plenary is now available as a slidecast. IWH News is distributed monthly by the Institute for Work & Health, an independent, not-for-profit organization that conducts and shares research to protect and improve the health and safety of working people. Did someone forward this e-mail to you? Subscribe now to receive your own copy.